GM has been a broker of automotive power in the industry since the early 1900’s. They’re innovative and dedicated approach to quality, luxury, performance, and user-friendliness ensure incredible customer loyalty, and excellent value. 2018 is business as usual for a brand so passionate about creating great cars – with a few new exciting twists. In this post, we’ll outline the top GM vehicles that have us excited for 2018. 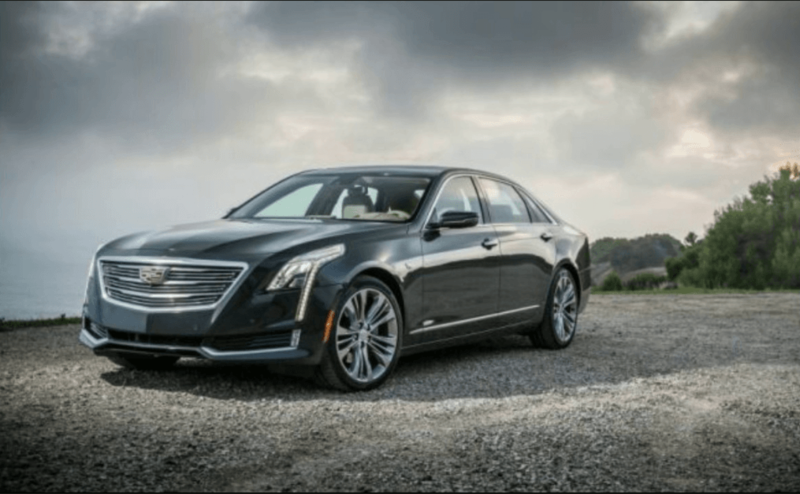 Likely to occur in 2018 – but maybe 2019 is the Cadillac CT8 – a new luxury sedan to take on the best Germany and Japan have to offer, the CT8 will be ripe with the innovative features, luxuriousness, and prestige that Cadillac is known for, with some low and sinister styling cues that will probably be borrowed from the bewitchingly beautiful Escala concept. Speculation tells us to expect a twin-turbo V8 engine to top off the line, with a twin-turbo V6 likely to be a standard engine choice – expect a plug-in hybrid model as well. The CT8 will place the BMW 7-series, Audi A8, Jaguar XJ, and Mercedes-Benz S-Class directly in the crosshairs of American luxury and innovation, taking the so-called luxury limo to new heights. What makes this vehicle exciting, is Cadillac needs to reposition themselves as a global contender for unrivalled cleverness and innovation with a flagship sedan. This CT8 model needs to be stylish, powerful, racy, and lavish to pull off the upset, and we think Cadillac is up to the challenge. 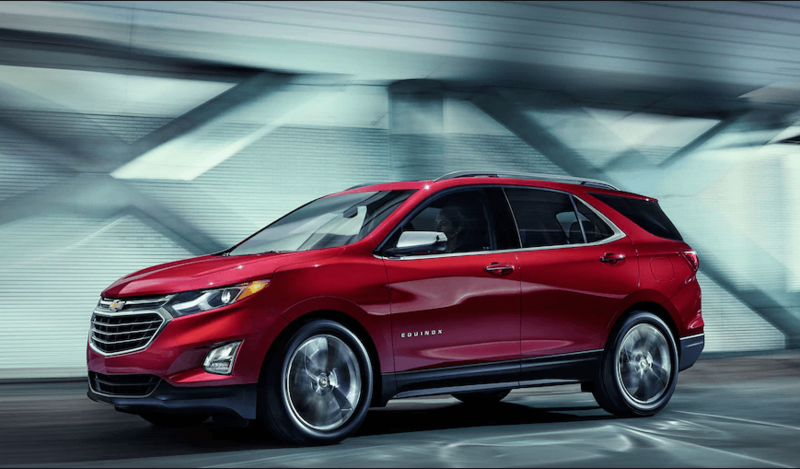 The popular next-generation crossover from Chevrolet is all about style, technology, efficiency, and safety. The all-new sculpted exterior is slightly larger than the outgoing model, but eloquently crafted with mild aggression and streamline eye-catching vibes to help emphasize new colours and trim levels. The 2018 Equinox gets 1,798 litres of cargo space and a hands-free power liftgate, as well as a completely redesigned cockpit. Under the hood, the 2018 Equinox will come with an available 1.6L turbo-diesel that the model will share with the Cruze, rated at 6.0L/100 km. Other engine options include the standard 1.5L inline-4, and a peppy 2.0L turbo with 252 horsepower. Innovative tech features will now include Intellibeam High Beam Assist, which automatically adjusts your high beams in darkness and to oncoming traffic, as well as Surround Vision, a virtual bird’s-eye view of the entire car and its surroundings to help make parking and maneuvering the vehicle a snap. The all-new Enclave is an extension of Buick’s undying dedication to luxury and approachability. The 7-passenger luxury SUV has been completely redesigned to reflect a trimmer, faster, and lighter aesthetic, while maintaining a plush and inviting cabin upholstered in rich leather. 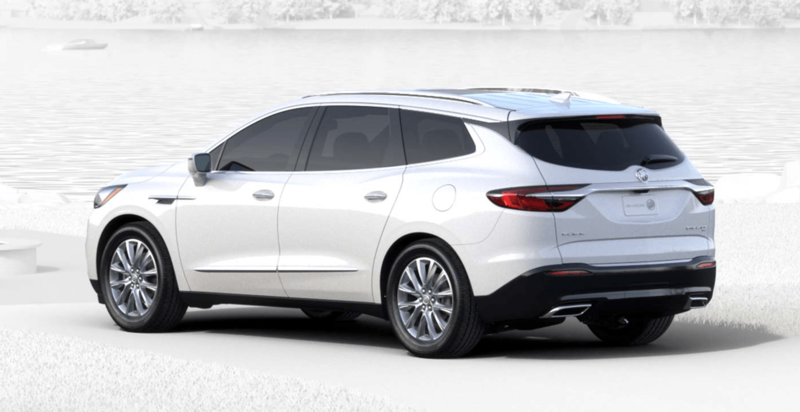 The Avenir trim level Enclave features masterfully tuned suspension to offer the quintessential Buick ride quality that we’re used to, while ensuring that handling is crisp, sporty, and precise. Power comes by way of an efficient and powerful 3.6L V6 that develops 310 horsepower, capable of fuel efficiency ratings of 12L/100 km city, and 9L/100km city. With an available intelligent twin-clutch AWD system and towing capability of up to 5,000 pounds, the Enclave blends refined luxury and class with sportiness and efficiency. The GMC cousin to the ever-popular Chevy Equinox, the compact Terrain has undergone a complete overhaul to greet 2018, complete with tech, appearance, and engines. The 2018 Terrain comes standard with GM’s 1.5L turbo four-cylinder, with 2.0L turbo and 1.6L turbo-diesel options for additional towing and passing confidence. Also, standard in the all-new Terrain is a 9-speed automatic transmission in both gasoline-powered models, with a closer gear-ratio 6-speed auto in the Eco-minded diesel. 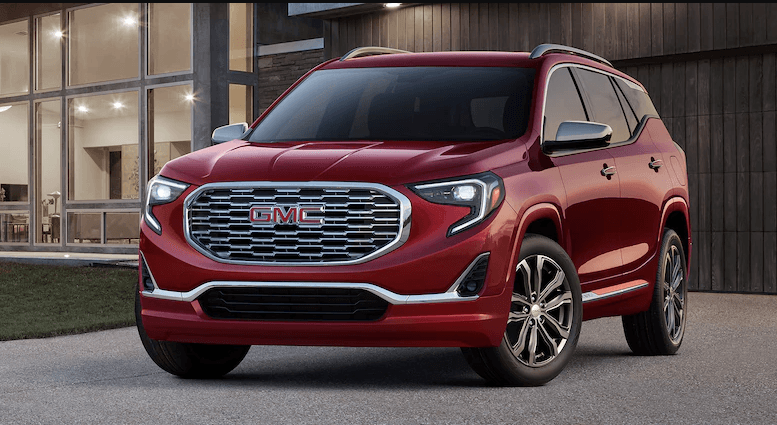 The Terrain inherits the GMC c-shape LED signature running lights, and a fresh sculpted grille that only gets better looking when customers opt for the luxury-driven Denali package. Also new for 2018 is the Electronic Precision Shift System, an innovative button-operated transmission system that allows for a more compact transmission case, and more cabin space inside. Coupled with standard leather-wrapped steering wheel, remote starter, and Apple CarPlay/Android Auto compatibility, and the Terrain is poised to continue its market dominance into 2018 and beyond.